This is a pre-order listing for my new Trolls inspired colourways - 'Hair Up!' and 'Lady Glitter Sparkles' as shown in the photos. The pictures are a guide only, I dye in small batches and each dye lot may very, as may each skein within a dye lot. 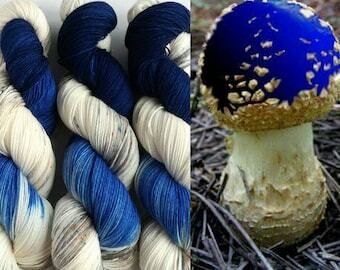 Different yarn bases take dyes differently too, so please contact me if you have any questions. 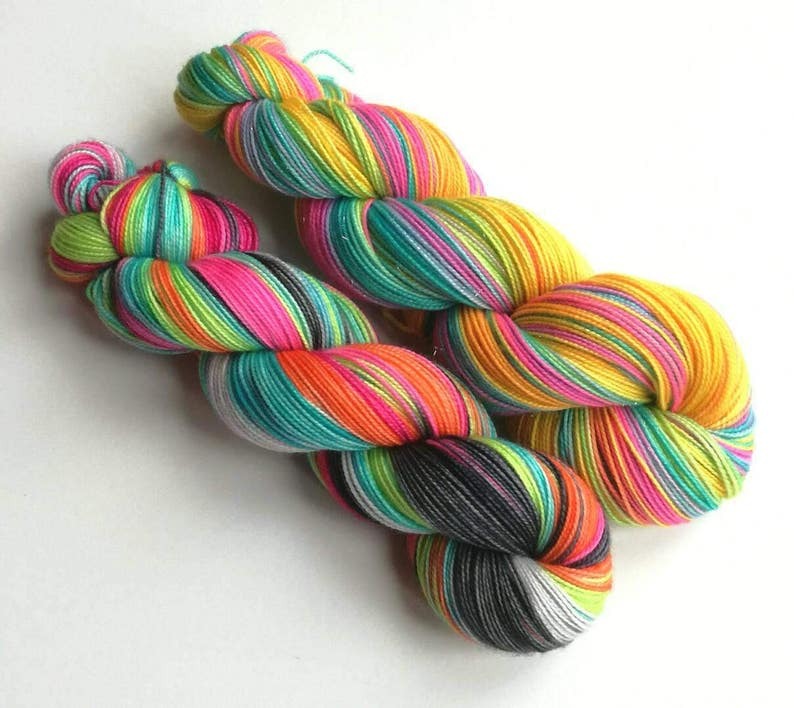 If you order more than one skein I will dye your order together where possible. Both colourways are shown in picture one. Hair Up! is shown in pictures 3 and 5 and contains pinks, orange, green, lilac, turquoise and dark grey/black. Lady Glitter Sparkles can be seen in pictures 2 and 4 and is a combination of pink, yellow and turquoise with areas encouraged to merge into secondary colours. Gorgeous, gorgeous, gorgeous, beautiful colours.